Some vendors weren't chosen this year, organizers say, because they wanted to add more gourmet items to the food selection. Two vendors have started an online petition against racial discrimination after being denied a license to sell food at this year’s Christmas in the Park festival. Leadership at the annual organization, however, claims that isn't true - some vendors weren't chosen this year, they say, because they wanted to add more gourmet items to the food selection. Abraham Teferi and Hewan Ayele have sold hot dogs, kettle corn and other treats in Cesar Chavez Plaza during the holiday festival for the last 30 years. Yet this year their application was denied. “We think, I think, they discriminate us because the color of our skin,” Teferi said. Teferi claims he and Ayele are the only black vendors, and says the non-profit organization denied their application for a year-long license in May via email without explanation. He estimates they will lose around $25,000 each by not selling this year. Christmas in the Park leadership says 15 vendors total were denied this year without any racial motivation. 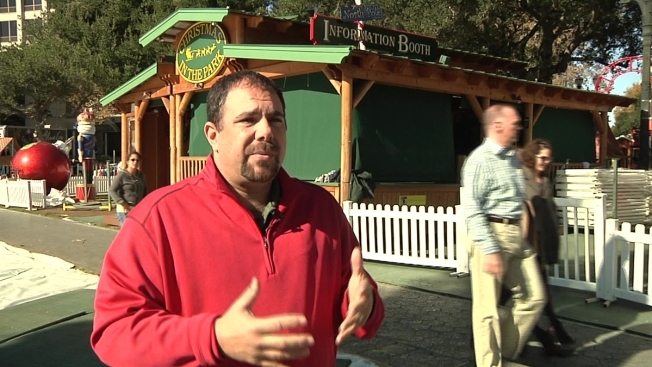 "Absolutely not," said Jason Minsky, executive director of Christmas in the Park. Seven food vendors this year are of various ethnicities: There is one African American, " a few" Latinos and one with a Persian-sounding surname, according to Minsky. Only one vendor is Caucasian, he said. Minsky does not require or ask vendors their ethnicity. The non-profit assumed responsibility for the event from the city of San Jose more than four years ago, and says this year they wanted to change the type of food offered during the holiday festival. Instead of having just selling items such as hot dogs and kettle corn, which these two vendors have sold for the last three decades, Minsky said the event now wants to feature more gourmet items, such as chicken teriyaki skewers. Teferi and Ayele complained to the San Jose City Council, the mayor’s office and the NAACP about the denial earlier this month. As a compromise, Christmas in the Park leaders offered them a vendor spot across the street from the park at a discount. Vendor fees can range from $6,000 to $20,000 depending on the size, and include tent shelter and electricity. Both vendors denied that offer and still demand to be inside the park. They’ve now collected 131 of 200 signatures needed on a change.org petition called "Stop blatant discrimination on City of San Jose's property" to submit to the San Jose City Council. Christmas in the Park begins Friday November 27 and lasts through January 3.